RAF Museum Air Display cover commemorating the Flying Jokers Air Display team of the Royal Norwegian Air Force. The cover artwork shows the Flying Jokers three Northrop F-5 jet fighters in flight. 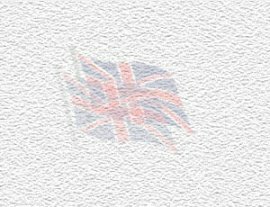 The cover was produced for the International Air Tattoo RAF Greenham Common 25 June 1977. 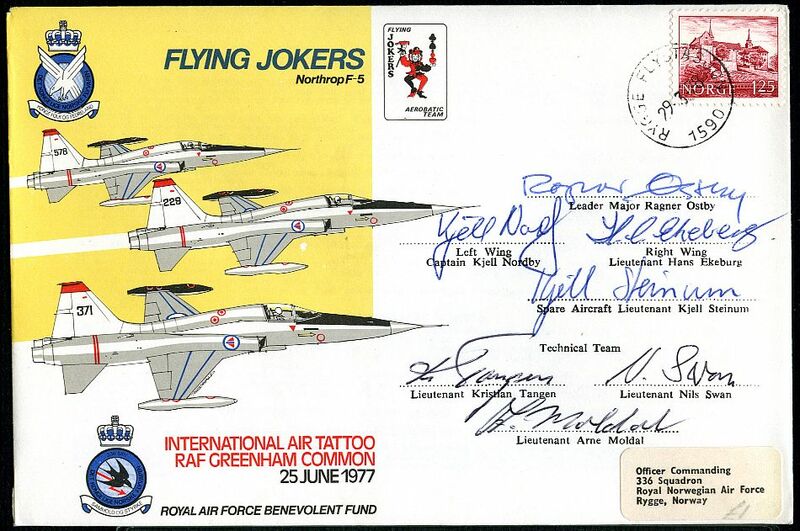 The cover has been flown at RAF Greenham common by the Flying Jokers in a F5 aircraft and bears 125 Norge stamp cancelled with Rygge Norway postmark. The cover is signed by the whole Flying Jokers team including the team leader, his two fellow display pilots and the reserve pilot. The cover is also signed by the three members of the Flying Jokers technical team. Official special numbered and certified on the reverse.